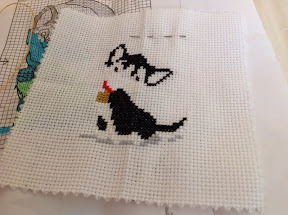 StitchyDonDesigns: More Smalls Progress !!!! After I finished Christmas Dog, I pulled out the companion piece, Christmas Cat. He is another cutie !!! Here is some more progress on my owl. 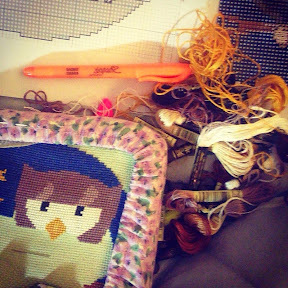 I've done the beak and started backstitching so I don't need to do it all at the end.